SALE: 30% OFF! Cross Russia from east to west along the iconic Trans-Siberian railroad. Begin your exploration in the port city, Vladivostok, explore the gem of the Buryatia region, Ulan-Ude, continue to Lake Baikal and Irkutsk, traverse the city of Ekaterinburg before arriving in the capital of Russia, Moscow. This program includes travel in a private detachable train car, stays at best hand-picked properties, guided sightseeing tours, fun activities, as well as full Russian visa processing. Welcome to one of the most significant Russian ports - Vladivostok! Your driver meets you at the airport and transfers you to your centrally located hotel for check-in. Following breakfast you check out and have the morning at leisure. After lunch, you meet your guide in the hotel lobby and enjoy an exciting sightseeing tour around the most interesting city attractions. You first explore the Eagle's Nest observation point to get a magnificent bird’s-eye view over the city and Golden Horn Bay. You then drive across the Russky Bridge, the world's longest cable-stayed bridge, to reach Russky Island. An integral part of the Vladivostok's history, the island attracts numerous tourists with charming Primorye nature, dozens of picturesque bays, majestic coastal rocks and a number of unique military fortifications. While being on the island, you have a great chance to visit one of them - «Novosiltsevskaya battery» fortification. Beautiful panoramic view of the bridge opens from there. Continue with visiting Submarine S-56 which successfully fought against a fascist’s fleet during WWII. You end the tour with exploring the Vladivostok Railway Station that is the terminus of the Trans-Siberian railroad. In the evening you are transferred to the railway station where you board a train that takes you through entire Eurasia to Moscow. Breakfast and meal on board included. In the morning your train arrives in Khabarovsk. Your driver meets you at the railway station and transfers you to your centrally located hotel for early check-in. After having some rest you meet your private guide and driver and set off on a wonderful sightseeing tour of Khabarovsk. You start sightseeing from the Monument to Nikolay Muravyov-Amursky, a Russian general, statesman, and diplomat. Continue to Amur Cliff which offers exciting views on the Amur River and hills. The river had a special historical significance as a route much used by the Russians when exploring and opening up eastern Russia. Nowadays it forms a part of the Chinese–Russian border. Finally, you ride across Khabarovsk Bridge. The railway bridge over the Amur River is the longest, at 1.6 km (5,250 ft), on the Trans Siberian Railway. The bridge, as well as Muravyov-Amursky Monument, is famous for being depicted on a 5000-ruble banknote. After the tour, you return to the hotel and have a free evening. Early in the morning after breakfast, you check out from the hotel. You are then transferred to the railway station to continue your journey to Ulan-Ude. You spend the rest of the day onboard the train. Breakfast and meal on board the train included. In the morning your train arrives in Ulan Ude - the capital city of the Republic of Buryatia. Upon arrival, your driver meets you at the railway station and takes you to your centrally located hotel for check-in. After lunch, you meet your guide and driver in the hotel lobby and start a tour around the most interesting landmarks of the city and its environs. You enjoy the views from Rinpoche Bagsha Datsan rising high above the city (if time and weather conditions allow), see the world’s largest head statue of Lenin, take a walk at Lenin Street abundant in former merchant houses, explore Soviet Square and admire at beautiful Odigitria Cathedral. You then head for Ivolginsky Buddhist monastery complex, considered as the center of Buddhism in Russia. Located 40 km from Ulan-Ude in the picturesque valley of the Ivolga River, the complex is home to the Buddhist institute Dashi Choinkhorlin, translated from Tibetan as “the land of happy learning”. Here monks, the future lamas, study oriental and Tibetan culture, medicine, Old Mongolian and Tibetan languages and philosophy of Buddhism. During the tour you make a sacred circle (“goroo”) around the territory, enter the temples, see the altar with many golden statues of Buddha, Buddhist stupas, Buddhist books, tanks and even the sacred Bodhi tree. Note: for the May 20 departure the tour will be extended by 1 day and there will be 2 nights in Ulan Ude. Following breakfast you check out and are transferred to the railway station where you board a train running to Irkutsk. In the afternoon your train arrives in Irkutsk. 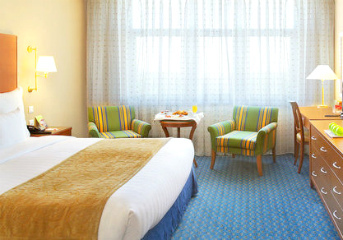 Upon arrival, you are transferred right to the Lake Baikal shores and check in to your hotel. The rest of the day is free to take rest after the ride. After breakfast, you have a day trip to the open-air museum of wooden architecture located in Taltsy Village. After lunch at a local restaurant, we invite you for an exclusive experience - a private 3-hour cruise on Lake Baikal. Together with the guide, you board a ship that takes you to one of the first Baikal railroad stations. After you get ashore, you walk to the tunnels of the old railroad and take magnificent pictures. On the way back you relax on the open-air deck with a cup of hot Siberian tea and local candies, listening to the stories about the life of locals. After the cruise, you return to your hotel and have the rest of the day free. After breakfast, you check out from your hotel and have the morning at leisure. After lunch, you meet your guide and driver in the hotel lobby and have a guided tour around the most remarkable Irkutsk attractions. You are then driven to one of the main monasteries in Siberia, Sigh Monastery, also known as the Znamensky Monastery. You also explore the Kazan Church, which with its Byzantine-style decorations looks like a fairy tower, and Block 130, the historical zone with many colorful wooden houses and buildings constructed in the 17th century. After the tour you are transferred to the train station to continue your journey further to Ekaterinburg. Today you arrive in the capital of Ural Region. Your driver meets you at the train station and transfers you to your centrally located hotel for check-in. Following breakfast, you check out from your hotel and your driver takes you to the train station to continue your Trans-Siberian journey. After breakfast you meet your guide in the hotel lobby and enjoy a sightseeing tour of Kazan. You explore the historical ensemble of the Kazan Kremlin. During the tour, you see the main treasures of the complex, including one of the largest mosques in Russia - the Qol Sharif Mosque, the leaning Soyembika Tower, the Annunciation Cathedral and the Governor's Palace. Following breakfast you check out of the hotel and meet your guide and driver who take you to the island of Sviyazhsk to enjoy its amazing architectural heritage. Along the way you have a stop at the famous Temple of All Religions - the unique complex that consists of several cupolas, minarets, and spires representing the architecture of 12 major religions of the world. After break for lunch (not included) you proceed to the Chak-Chak Museum. Here you learn the secrets of making the traditional Tatar sweet. You are also invited for tea drinking with chak-chak, baursak and Tatar pastila. Breakfast and chak-chak tasting included. Later in the morning, you meet your guide at the hotel lobby. This day is dedicated to the exploration of one of the most outstanding Moscow icons - the Kremlin and the heart of Moscow - the Red Square. Following breakfast you meet your guide at the hotel lobby and walk to the Kremlin territory where you have a chance to explore the gems hidden behind the Kremlin walls such as the Cathedral Square and the Assumption and Annunciation cathedrals. After the tour of the Tretyakov Gallery you have a quick subway ride to explore the most beautiful stations of Moscow Subway which is known to be one of the most beautiful and efficient metro systems in the world. Then you see the spectacular Cathedral of Christ the Savior and learn the story of its destruction and reconstruction. Today you also have a chance to enjoy one of the best city views at Sparrow Hills and see the grand building of Moscow State University, the highest of seven Stalinist skyscrapers of Moscow. This is the final day of your amazing Trans-Siberian train tour! Following breakfast, you check out from the hotel and your driver transfers you to the airport for your flight back home. We wish you a safe flight and hope to work on your future trips! Note: Due to specific travel arrangements and train departure times depending on the schedules of Russian Railways, the itinerary may be subject to change. All of the must-see sights of 10 Russian cities included in the journey along the whole Trans-Siberian railway line. 2020 departures of the 16-day small group tour program are available for booking. Contact our travel specialists for details.